1. Cut or scoop the watermelon out onto a baking sheet and freeze for 4 hours or until solid. 2. 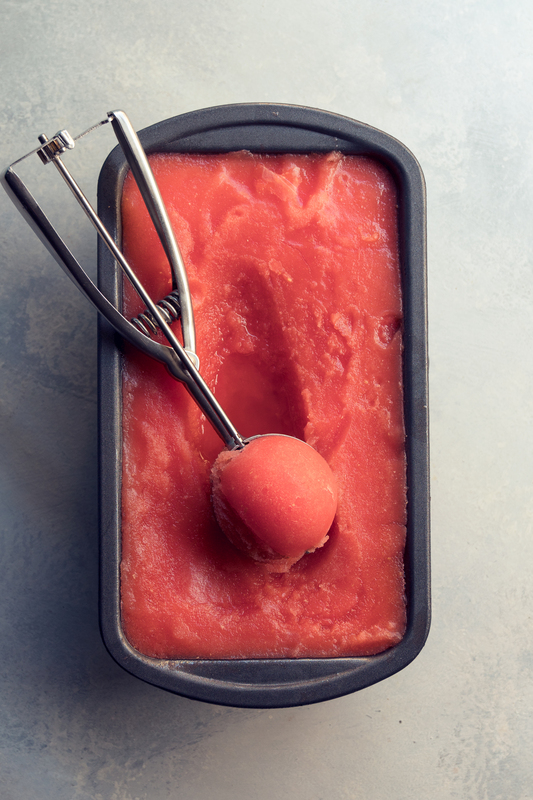 Blend the frozen watermelon in batches until smooth and pour into a bread tin and freeze for another hour. Want the cool sorbet scoop? Get the scoop we use in the video.